Nick Wigoda, SIOR, joined Newmark Knight Frank in 2016 and serves as an executive managing director and co-lead of the Industrial Services Division for South Florida in the firm’s Miami, Florida, office. Mr. Wigoda is a leading specialist in the representation of owners, investors and occupiers of commercial real estate. 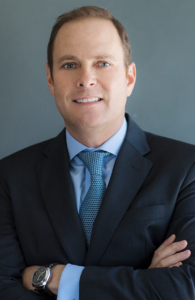 Throughout his 16-year career, Mr. Wigoda’s institutional investor client list has included top REITs and private equity firms as well as corporate occupiers in South Florida and throughout the country. Mr. Wigoda joined NKF after serving as an executive vice president for six years with JLL. In this capacity, Mr. Wigoda focused on commercial sales and leasing transactions involving occupiers, owners and investors of real estate. He advised private and public companies with occupancy, growth, disposition and investment strategies. Mr. Wigoda was responsible for transactions across a broad range of industries including food products and beverages, air/ocean freight, third party logistic providers, aviation, transportation and manufacturing. Mr. Wigoda graduated with honors from the University of Vermont in Burlington, where he earned a Bachelor of Arts degree in economics.